Some good looking mags in this thread. I have witnessed/owned a couple firsthand. Thanks for sharing. 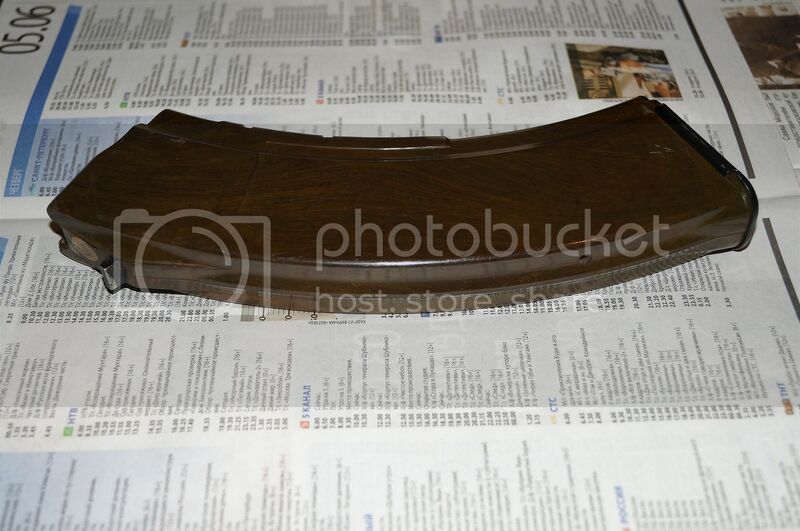 First up is my favorite mag that I own...a rare Tula 7,62x39 30rd АГ-4C dark brown experimental magazine. 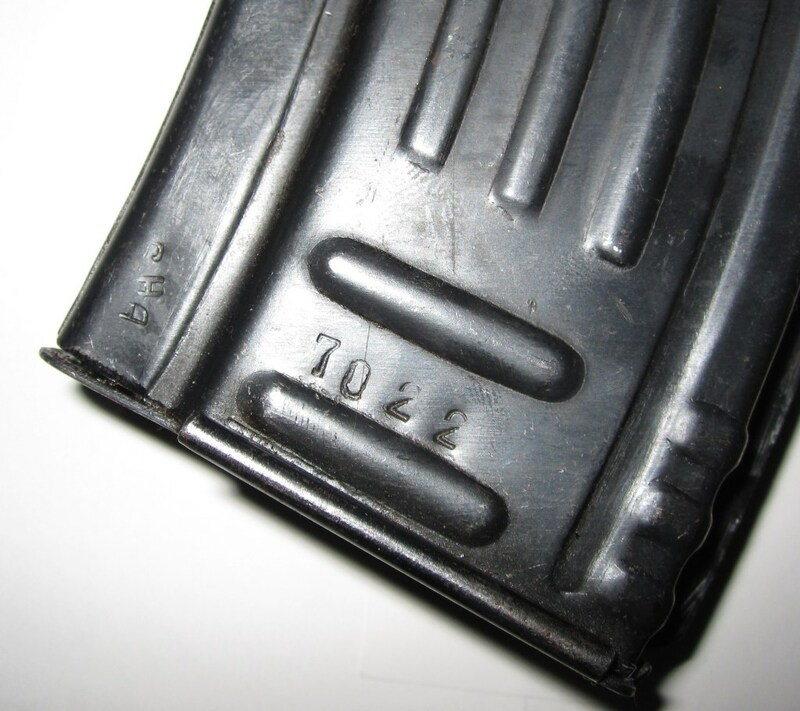 WTB Bosnian fleur de lis mag, poor condition 30 round Bakelite mags in 5.45 and 7.62. Have sideslabs and cash! 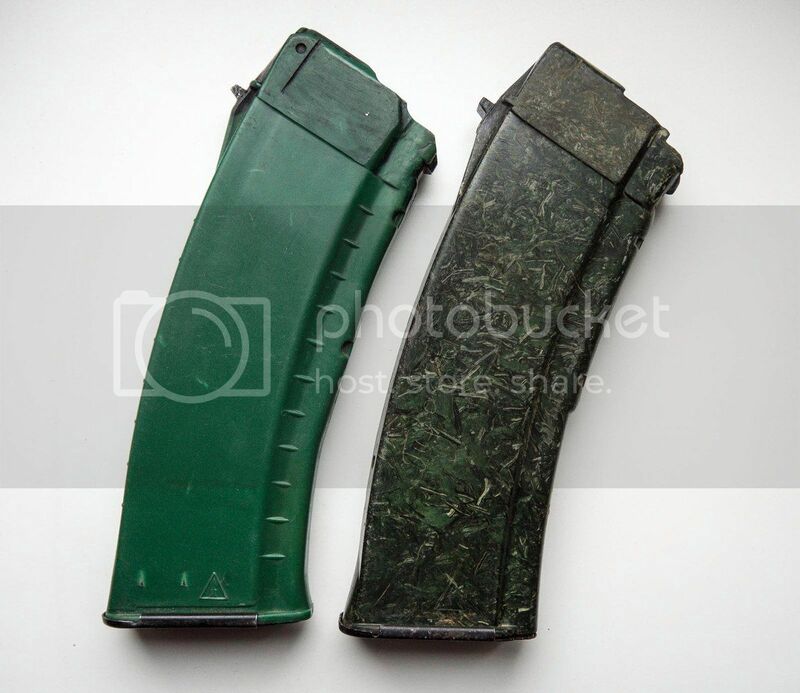 Green Tula 5,45 mm magazine. 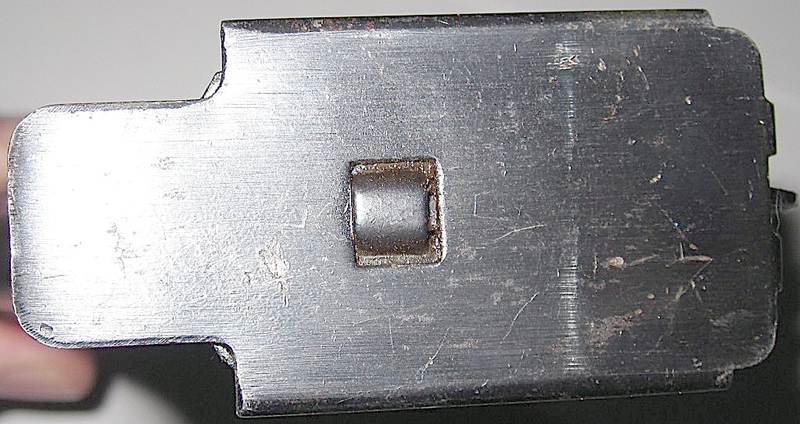 The Izhevsk 5,56x45 mag used for comparison purposes. Last edited by Bunker9939; 10-10-2016 at 08:39 PM. Visceral_Malice, BR7.62, RRoss and 1 others like this. bunker that green one is super cool, nice flakes in it. 5.56? what do you think the timeframe is then? evolixsurf and Bunker9939 like this. Sorry I misspoke or mistyped...it's actually a 5,45 mag released in small series in the seventies used in premium border AK-74. 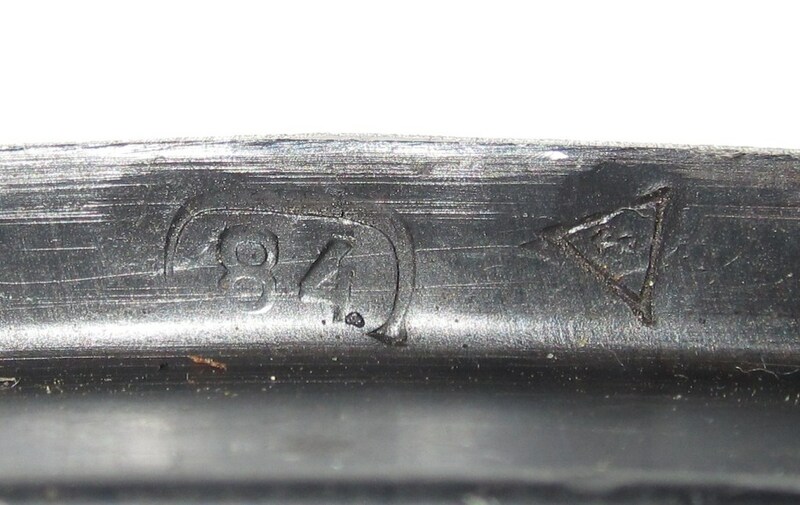 The stamp is not modern but Tula Arms Factory (TOZ) since 1928 - present. I'll edit to reflect 5,45. 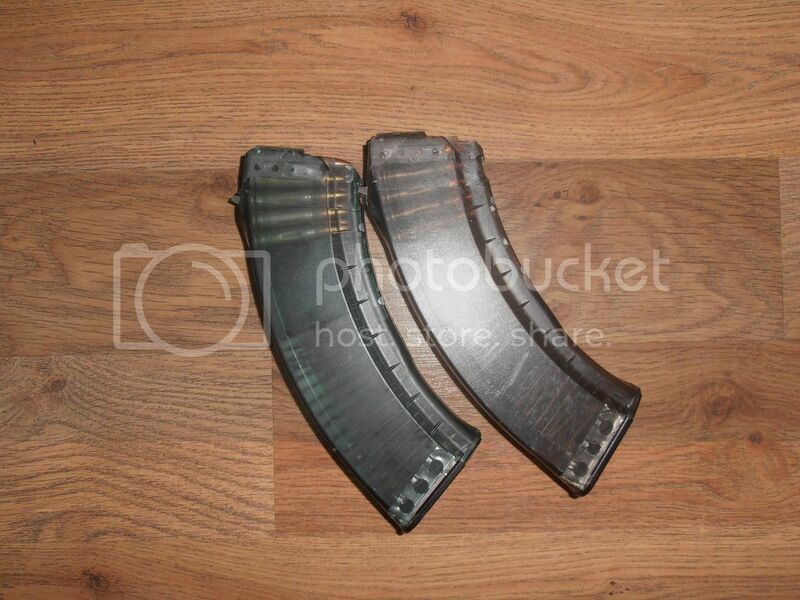 Experimental Izhevsk 7,62x39 30 Rd Transparent Magazine. 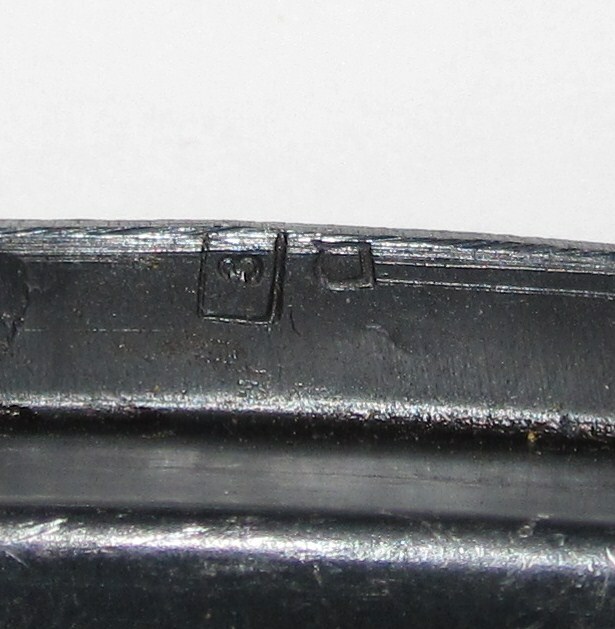 These mags were produced in the 2000s and made of thermoplastic polyamide 6. They come in at least four colors that I know of (red, green, yellow, clear) and they also made them in 5,45 mm. Also, at the time these were used to demonstrate the AK-12. They are very fragile and crack easy. 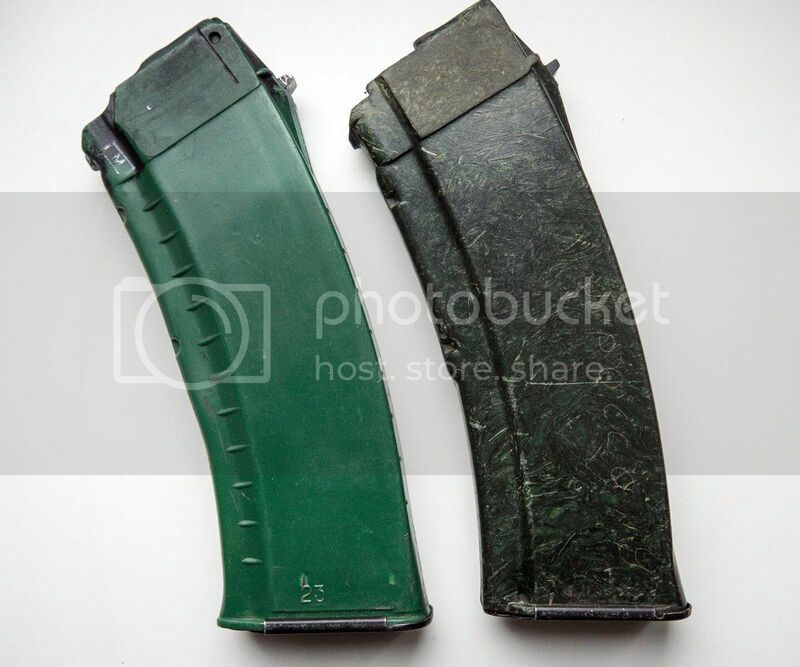 These two mags are owned by a friend of mine. 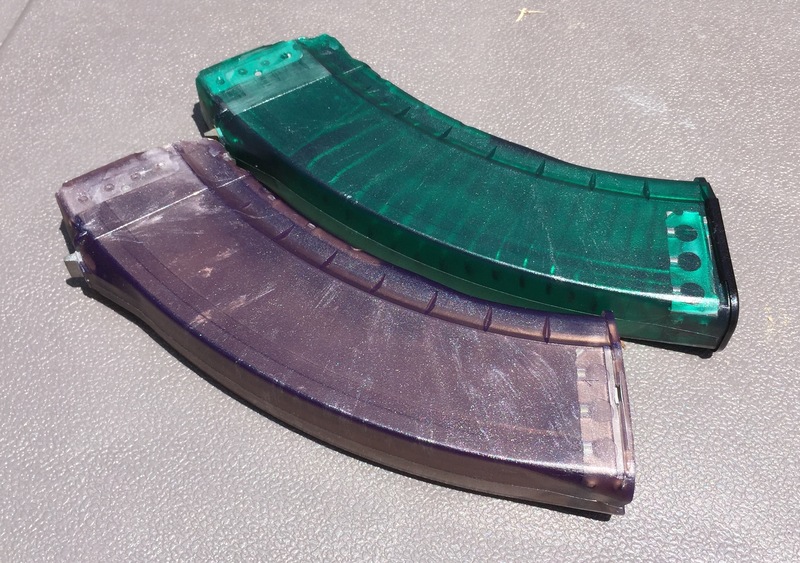 Those modern translucent magazines are also made in purple. Here's mine, I have a green and a purple, have yet to get a clear one. I wasn't aware of any red or yellow ones. 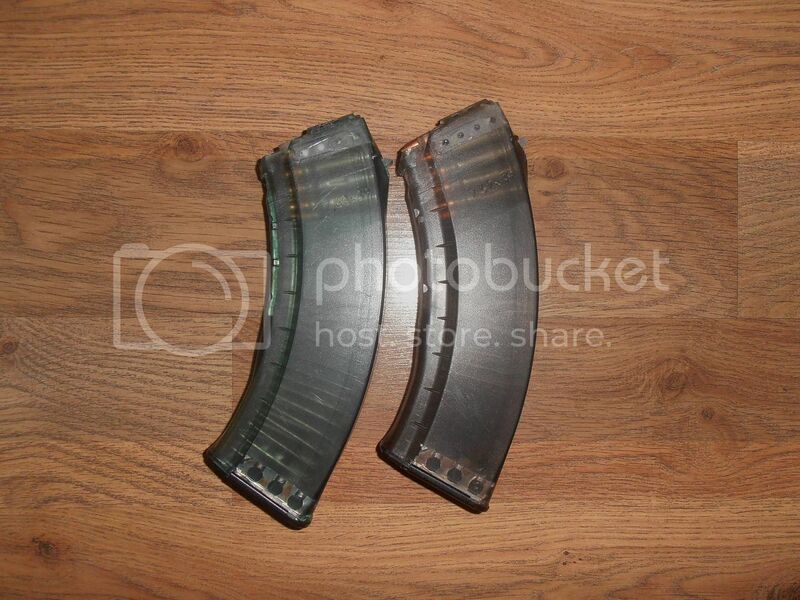 A couple of my vityaz magazines while they are probably not rare they are definitely uncommon in the US. BR7.62 and Bunker9939 like this. One that I wished I owned, and have been unable to find more about. BR7.62, AK47(AngelKing)AK74, evolixsurf and 5 others like this. hmm looks like a floor plate that would be on a slabside. other than that... at first i was thinking it looked chinese. evolixsurf, docwade, BR7.62 and 6 others like this. im not real big on the border guard stuff but that green bake is a-m-a-zing! I'll take a couple for sure!